The eyes of the emperor’s brother once looked straight into a camera, in this case ‘manned’ by a photographer whose duty it was to take pictures of the rich and powerful. Jerome’s eyes had been privileged enough to look into Napoleon’s eyes. The photograph as described by Roland Barthes allowed him to establish a relay between Jerome (in the 1850’s) and the modern readers of CAMERA LUCIDA This juxtaposition of time and space is at the root of Barthes’s meditation on photography in CAMERA LUCIDA. Barthes provides us with the social and cultural matrix at the heart of his activi ties as a viewer and as a cultural analyst. CAMERA LUCIDA is part analysis, part theory, a personal examination of the role of photography in Barthes’s life and an hommage to Jean-Paul Sartre’s book, THE PSYCHOLOGICAL IMAGINATION. 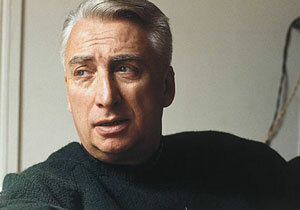 An extraordinary number of essays and articles have been written about CAMERA LUCIDA and Barthes’s work. My purpose here is to interrogate the photographic image in historical and cultural terms. Barthes is a focus, but this chapter is designed to raise a primary distinction between photographs and images. My premise is that this distinction will allow us to more clearly understand the role played by the viewer in the experience and interpretation of images. This theme has been researched and commented on by a number of writers  but my sense is that Barthes is exploring the meaning of death at the symbolic and imaginary level. Death in this instance speaks to the frailty of memory, but most importantly, Barthes follows the writings of Bataille in recognizing the silence of the photograph in the face of all that is done to it. “Death is a disappearance. It’s a suppresion so perfect that at the pinnacle utter silence it its truth. Words can’t describe it. Here obviously I’m summoning a silence I can only approach from the outside or from a long way away.”  The distinction then between image and photograph will allow me to speak about the cacophony of voices which engulf the silent photograph. My position will be different from Barthes. He is worried about loss and absence. My concern is with the rich discourse which arises from the human encounter with images and the creative use which is made of photographs as they are placed into different contexts. This is to some degree represented by a polaroid photograph in the beginning of CAMERA LUCIDA which W.J.T. Mitchell has described as a veil  but which I interpret as a curtain over a photographic window, as, in other words, the potential place from which a large number of ‘sights’ can be inferred or given the right circumstances, constructed. Mitchell refers to Barthes’s dislike of polaroids and of colour photographs in general (Mitchell 302-303) but I see the polaroid as an apparatus which encourages the imaginary, which frees the cameraperson to explore his or her experiences. In some senses polaroids are the precursors of small format video producing an instantaneous result to the use of imaging technologies. The notion of instant development, the instant print, runs counter to the ‘value’ of the photograph as a vehicle of preservation, as a special moment during which an event or person has been captured for the family album or the art museum. As a result of Barthes’s ambiguous feelings about photography, the polaroid comes to stand for, if not legitimate the contradictions of vision, the perpetual sense which Barthes has that more is being taken away than is being given. The curtains highlight the levels of mediation which both encourage the imaginary and prevent us from “looking outside.” The polaroid is a ‘throw-away’ but what exactly does it offer us? Is it the same as all other kinds of photographs? What happens to the photographer if they can see the result of their intuition or reaction or sight of an event immediately after it happens? What effect does all of this have on the subjects being photographed? The temporal collapse here could be described as one of the breaking points between modernity and postmodernity. The sharpness of this shift should not be underestimated. The polaroid is more like a found object in the sense developed by Marcel Duchamp and encourages a radical reappropriation of the world as image, now being realised to an even more sophisticated degree by digital technology. This movement to a dramatically different level of appropriation was not achieved in the cinema until video appeared. Multimedia computers and cd-rom promise to change the parameters even more. Did Barthes anticipate all of this with the polaroid at the beginning of CAMERA LUCIDA? That would be stretching my point. He did however sense the depth of the change which the polaroid process engendered. And much of his discussion of time and death in CAMERA LUCIDA anticipate the reversals and transformations of instant photography and video. What is even more interesting about polaroids is the way in which they challenge simplistic notions of referentiality, the way the polaroid camera encourages shifts in framing and takes the photographic process away from the extraordinary, the special event, the birth, the marriage. As a result of the polaroid, everyday life can be transformed into an image without any pretense while at the same time all of the pretensions of photography as an art form can be marginalised. It is in the space between these two approaches that Barthes operates. The camera re-mains an object capable of creating the links be-tween reality and vision while at the same time in-verting if not distorting the simplicity of that relationship. It is this ambiguity and tension between rationalist and non-rationalist approaches to understanding how pho-to-graphs communicate meaning, which Barthes discusses. At one and the same time Barthes tries to avoid the notion that there is a systematic base to the way in which photographs operate as purveyors of meaning (rejecting the more scientific aspects of his earlier work in ELEMENTS OF SEMIOLOGY) and yet he makes the effort to catalogue their constituent elements, in order to bind photographs to their own specific characteristics. This becomes an entry point into historical and interpretive analysis and for Barthes, particularly with respect to a photograph of his mother as a young child, a meditation on the ability of the image to keep the dead (or meaning) alive. Barthes’s effort to generate a set of observable characteristics which will delimit the medium of photography is itself part of this creation of a contingent “relationship.” The potential problems with this approach only come into play when that delimitation of boundary is shifted to the ontolog ical level. I will address the impact of contingency as a strategy for textual analysis later, suffice to say that for the moment the crucial point is that contingency has an effect on how visual media can be interpreted. What must be kept in mind is that although the observer and the text are to some degree “visible” as parts of a complex process of exchange (in the same way that two people talking to each other can be observed by a third person) the rela tionship between those parts is not. Instead, it is the discursive, per forma tive and interpretive consequences of the relationship which take on a textual quality and for which a variety of analytical strategies can be developed. Contextual arguments are themselves contingent, often arbitrary, and dependent on the position of the observer or analyst. They are more often than not hypotheses which do not drive towards some conclusive testing of their premises. This of course has always been promoted as the fundamental dif­ference between artistic and scientific activities. In some respects CAMERA LUCIDA is an unveiling of the history of this tension and difference, but it takes it one step further by implicitly exploring notions of conventionality and codification. For it is through those semiotic and interpretive pre sumptions that the idea of cultural norms has arisen. The normative argument makes its strongest appearance in arguments about genre and canon and while I will not delve into this at the moment, it is important to note that CAMERA LUCIDA was Barthes’s last book and came after a long intellectual career during which he argued for the normative (in his work on fashion, advertising and literature — S/Z and SYSTÉME DE LA MODE) and against it (in THE EMPIRE OF SIGNS and THE LOVER’S DISCOURSE). These divisions don’t sit in simple oppostion to each other. They criss-cross Barthes’s work and in some respects provide the intellectual energy for CAMERA LUCIDA (and I would suggest for the shift by Barthes from a structural to a poststructural position), but at another level Barthes doesn’t seem ready to confront the impact of these divisions on his own praxis as a critic and analyst. It is within the arguments around contingency that one can begin to pose questions about the connec-tions which Barthes develops in relation to politics, context and historical analysis (the important and often over-looked fact that much of MYTHOLOGIES for example, was written as a series of articles for a newspaper in France provides a context for the book which its appropriation as cultural theory has elided). CAMERA LUCIDA is a return to an earlier politique but makes no effort to foreground that history. Ironically, this is part of the contingent approach so characteristic of Barthes. His work re mains unsure of its purpose, bound to, as Richard Rorty has so beautifully put it, a ‘tissue of contin gencies.’ I should add that part of my emphasis on the notion of contingency is related to Walter Benjamin’s concern to situate photography within the textual, the imagistic and the mythic. For Benjamin the photographic image both takes away and confers new insights in the ongoing relationship between vision and understanding, but the tensions here are steeped in a set of non-normative and non-perscriptive contingencies which lack the permanence often attributed to the image. The struggle between permanence and impermanence, between the role of images as potential focal points for the expansion of thought and vision and the often distopic and negative perspective on their effects is a central thematic of CAMERA LUCIDA and of Benjamin’s work on images. At one and the same time Barthes and Benjamin supported the idea that photographic images extended if not redefined the cognitive experience of the viewer while also contributing to the denigration of meaning, to the simplification of perception and understanding. This tension (in Benjamin’s case in the late nineteenth century and in Barthes’s at the cusp of the computer age) also expressed itself through conceptions of the popular, notions of mass entertainment and the role of high art in a time of shifting concerns about the impact of new technologies on traditional conceptions of cultural activity. To a large extent these concerns remain relevant today and they are premised on the difficulties of attributing some kind of cause to the use which viewers make of images. However, it seems to me that the opposite has happened. The camera rarely appears in photographs which individuals take. This is in effect transfers the power to the viewer who can attribute intentionality to the image or not depending on the context of viewing and the potential use which will be made of the image. The technology will bear as much responsibility as one wishes since “it” cannot answer for its actions. In the final analysis the tensions of attribution here are sources of creativity and not the reverse. Benjamin recognized this when he prioritized the dream as an integral part of the role which human desire plays in the construction of meaning. These desires play themselves out in a variety of ways and only a consensual agreement among a wide variety of viewers ever fixes (and even this is only temporary) the attribution of effect and meaning to images. In this sense the photograph never belongs to anybody. Barthes quotes Sartre: “The persons in a photograph drift between the shores of perception, between sign and image, without ever approaching either.” (Barthes 20) It is this territory, this space without a fixed shape but nevertheless with borders, which opens up the potential for exploration and discovery and which moves the photograph from print to image. “The photograph itself is in no way animated (I do not believe in “life like” photographs), but it animates me: this is what creates every adventure.” (Barthes 20). It is as if understanding and interpretation are conflated into a notion of instantaneous recognition and comprehension, an epiphanous moment of effect and affect. Roland Barthes, Camera Lucida, tr. Richard Howard (New York: Noonday Press, 1981) 3. Jean-Paul Sartre, The Psychological Imagination (London: Methuen, 1972). The book is far from being the literary exegesis which some commentators have suggested. Its playfulness with regard to form, its lack of commentary on the many photographs to which it refers and its use of photographs which are not even reproduced, suggest that Barthes was as worried about the ‘word’ as he was about the image. Roland Barthes, The Grain of the Voice trans. Linda Coverdale (New York: Hill and Wang, 1985) 356. In particular, Mary Bittner Wiseman, The Ecstasies of Roland Barthes (New York: Routledge, 1989) and Stephen Ungar, Roland Barthes: The Professor of Desire (Lincoln: University of Nebraska Press, 1983). Georges Bataille, Guilty, trans. Bruce Boone (Venice, California: The Lapis Press, 1988) 7. I have borrowed this phrase from Anthony Wilden’s book System and Structure. He makes the comment about ‘labor of relation’ in a discussion of Jacques Lacan. He critiques Lacan’s dependence on language, on the symbolic, and Lacan’s use of linguistic signification to explain the imaginary and its relationship to subjectivity and identity. Anthony Wilden, System and Structure (London: Tavistock, 1972) 473. W.J.T. Mitchell, “The Photographic Essay: Four Case Studies,” Picturing Theory (Chicago: University of Chicago Press, 1994) 302. Rosalind Krauss makes the important point that the discursive space for photography has shifted from informal settings to the museum, to a place of exhibition and this has transformed the aesthetic expectations surrounding photographic images. Rosalind Krauss, “Photography’s Discursive Spaces,” The Contest of Meaning: Critical Histories of Photography ed. Richard Bolton (Cambridge, Mass. : MIT Press, 1992) 287-301. Jacques Derrida explores the emotional connection which he had with Barthes and the impact of Barthes’s death in an essay entitled, “The Deaths of Roland Barthes,” Philosophy and Non-Philosophy Since Merleau-Ponty ed. Hugh J. Silverman (New York: Routledge, 1988). Barthes, would, I think, agree with John Berger who says, “Clouds gather visibility, and then disperse into invisibility. All appearances are of the nature of clouds.” John Berger, “On Visibility,” The Sense of Sight (New York: Pantheon, 1985) 219. Bernard Comment discusses the shift in Barthes’s approach from his earlier more formal analyses in Elements of Semiology to the more phenonmenological strategy in Camera Lucida. He attributes this to an increasing effort on Barthes’s part to eliminate all forms of intentionality from the photograph. This contributes to the sense that what photographs as a medium encourage is an instantaneous apprehension of meaning. Comment calls this approach “magical.” Bernard Comment, Roland Barthes, Vers Le Neutre (Paris: Christian Bourgeois, 1991) 120. Jonathan Crary, Techniques of the Observer: On Vision and Modernity in the Nineteenth Century (Cambridge, Mass: MIT Press, 1991) 29. Richard Rorty, Contingency, irony, and solidarity (New York: Cambridge University Press, 1989), p.32. See Martin Jay, Downcast Eyes: The Denigration of Vision in Twentieth-Century French Thought (Berkeley: University of California Press, 1993) for an extended description and analysis of this tension in French thought.